On the 4th December 2021, a total solar eclipse will send the White Continent into an eerie darkness. Positioned right over Antarctica, a full 1 minute and 54 seconds of total darkness are expected. Find out why this solar eclipse is different from the rest and why Antarctica really is the best place to see it from. 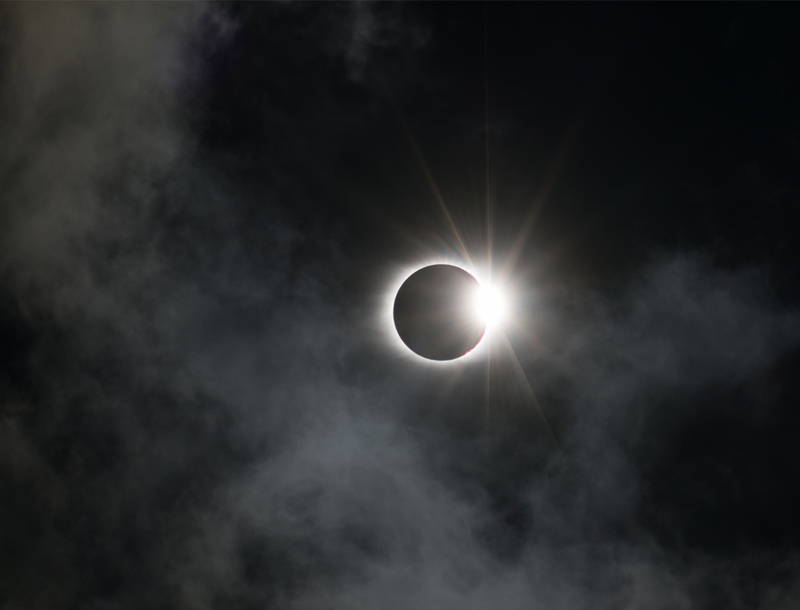 A total solar eclipse happens when the Moon passes between the Earth and the Sun. There are two types of eclipses, a partial eclipse and a total eclipse. During a partial eclipse, the Sun is partially obscured. During a total eclipse, the Moon and the Sun are perfectly aligned. A total eclipse is incredibly rare. In these exceptional circumstances, the diameter of the moon and its distance from the Earth make it large enough to cover the sun. This causes the only visible component to be the corona, the usually unseen outer atmosphere of the sun. A total solar eclipse can be seen from Earth every 18 months. However, the locations are often very remote or hard to reach. The chances of an eclipse being in the same position is only once every 375 years. You can understand why we are so excited by the Antarctic 2021 Eclipse. It really is a once in a lifetime experience! What is it like to Experience an Eclipse? Many who witness a total eclipse view it as a unique, even life-changing event. As the moon’s shadow falls upon the Earth, many experience a sense of quiet and a feeling of humbleness. It is not uncommon to also feel a sense of awe for the forces at work in the universe. A total eclipse is a rare opportunity and those who experience it certainly do not forget it! To ensure that you can enjoy this visual spectacle without damaging your eyesight, make sure you never look directly at the sun. If you do, wear protective eyewear as the portion of the sun that is exposed during an eclipse can cause permanent damage to your eyes. Why is Viewing in Antarctica the Best? In 2021, the total solar eclipse will be visible from Antarctica and the Southern Ocean. The moon’s shadow becomes narrow once it reaches Earth, so it can only be seen from particular locales and rural locations are often best. That is why, you certainly can’t top Antarctica. Our Antarctic Travel Specialists team are offering a 2021 Solar Eclipse Antarctic Cruise option you won’t want to miss. On your journey from Ushuaia, explore the diverse flora and fauna of the Falkland Islands and see some of the most spectacular sights in the Southern Hemisphere. During the journeys leg on the Weddell Sea, experience this stunning natural phenomenon. For more information or booking enquiries, contact our Antarctic Travel Specialists on +61 3 9576 1980.